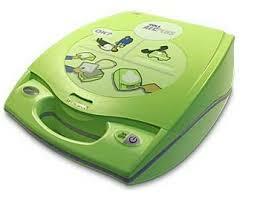 Defibrillators can be used to help increase chances of survival in the event of cardiac arrest. Available 24/7: Yellow box on the squash court wall in the main front car park. Call 999 on your own mobile phone, giving the postcode on the front of the box(LE9 9JU) . You will be given another code to open the box. Available when the gym is open: By the desk inside the gym. Available 24/7: Yellow box by the front door of the football changing rooms at Kirkby Road recreation ground. Call 999 on your own mobile phone, giving the postcode on the front of the box(LE9 9JH) . You will be given another code to open the box. In all cases, the machines will tell you exactly what to do even if you have never used or even seen one before. Press the “on” button and the machine will talk to you telling you exactly what to do. It will even detect whether the patient needs the defibrillator at all! As long as you follow the verbal instructions you can’t go wrong. Remember this can save a person’s life, so if in doubt give it a try. Clearly it’s best to go on a training course to familiarise yourself with how to operate the machine, to increase your confidence in using it. SiD runs such courses periodically. Contact Jim Houghton on 07967 353 790 if you would like to be sign up for a future course.